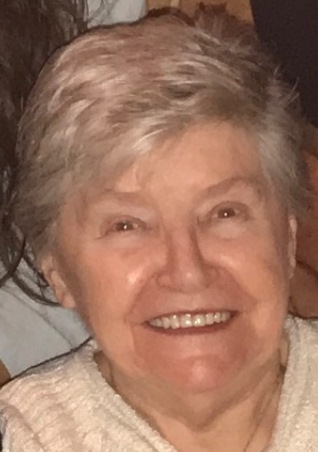 Auburn, NY - Stella (Sidor) Colella, 83, of Auburn passed away peacefully Sunday, July 15, 2018, at Auburn Community Hospital. She was a lifelong resident of Auburn, the daughter of the late Ignatius and Mary Sidor. Stella was affectionately known as "Stasha" by her family and friends. She was a devoted Catholic with a strong faith for the Blessed Mother and for angels. She cherished spending time with her loved ones playing cards, family games, and spending time at the casino with her husband. She recently celebrated 61 years of marriage with her best friend and husband, Edward. The love they held for each other was endearing to all who knew them. She is survived by her husband, Edward Colella; son, Edward (Tina) Colella, of Auburn; son, Thomas (Margaret) Colella, of Weedsport; and daughter, Cindy Colella of Auburn; grandchildren, Matthew Colella of Auburn; Marlana and Kenneth Colella of Weedsport; Khaleel Zughbieh of Florida. Stash is survived by her sister, Florence (Peter) Jurczak; and lifetime friend, Virginia Pelc,several nieces and nephews. In addition to her parents, Stash was predeceased by her brothers William and Edward Sidor; sisters Jennie Fabrizio, Loretta Plis, Helen Gavurnik, and Jane Applebee. Calling hours are from 4 to 7 p.m. Wednesday, July 18, at the Heieck-Pelc Funeral Home LLC, 42 East Genesee Street, Auburn. A Mass of Christian burial will be offered at 10:30 a.m. Thursday in St. Hyacinth’s Church, 61 Pulaski Street, Auburn. Burial will follow at St. Joseph’s Cemetery, Auburn. In lieu of flowers, contributions may be made to St. Jude’s Children’s Hospital as she had a special fondness for children in need.